When it comes to a few sentences that capture your imagination or put instant perspective on things, there is no one who does it better than Dr Suess. 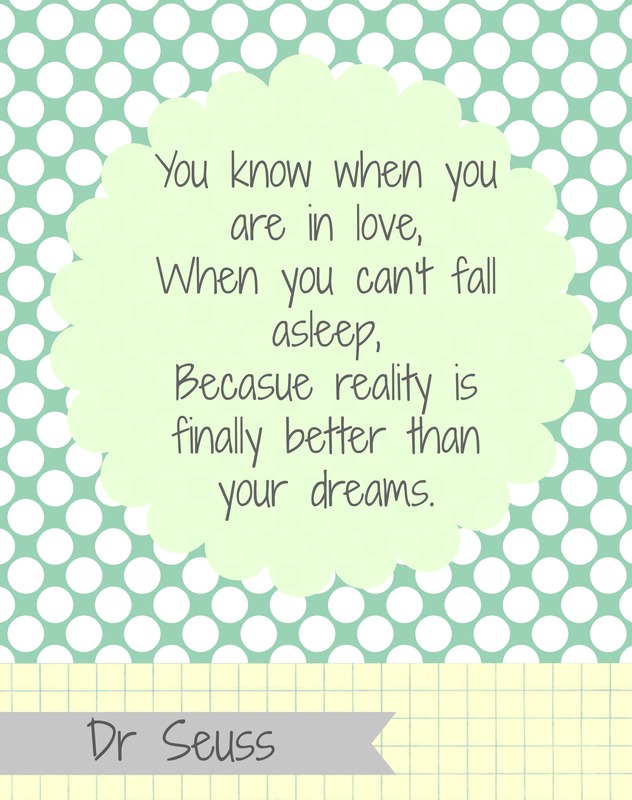 Download and print a free copy of this printable here. Love has a different meaning for everyone. It fulfils a different need, a different desire, and a different want. 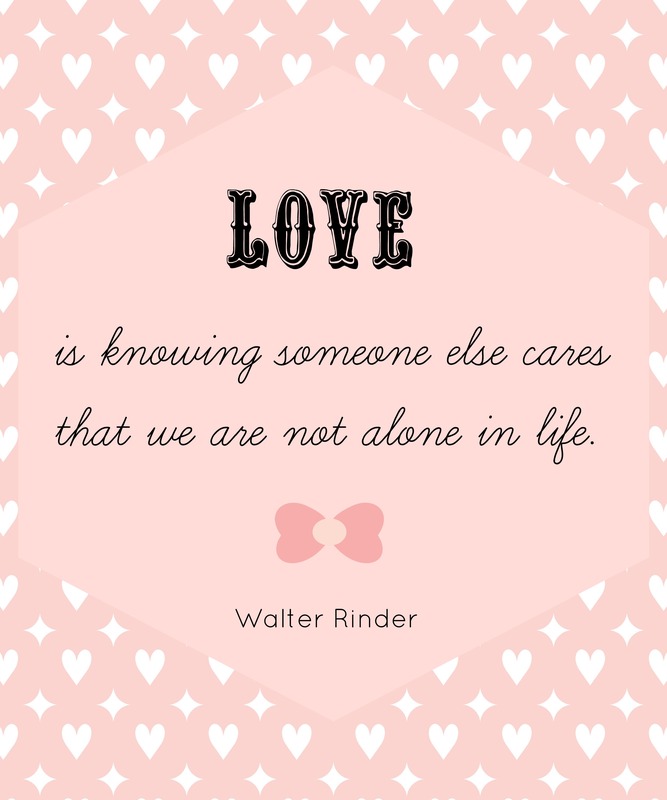 For Walter Rinder love is knowing someone else cares that we are not alone in life. Love is not just looking at each other and saying ‘You’re wonderful’. There are times when we are anything but wonderful. Love is looking out in the same direction, it is linking our strength to pull a common load, it is pushing together towards the far horizons, hand in hand. Love is knowing that when our strength falters, we can borrow the strength of someone who cares. Love is a strange awareness that our sorrows will be shared and made lighter by sharing; that joy will be enriched and multiplied by the joy of another. Love is knowing someone else cares that we are not alone in life. 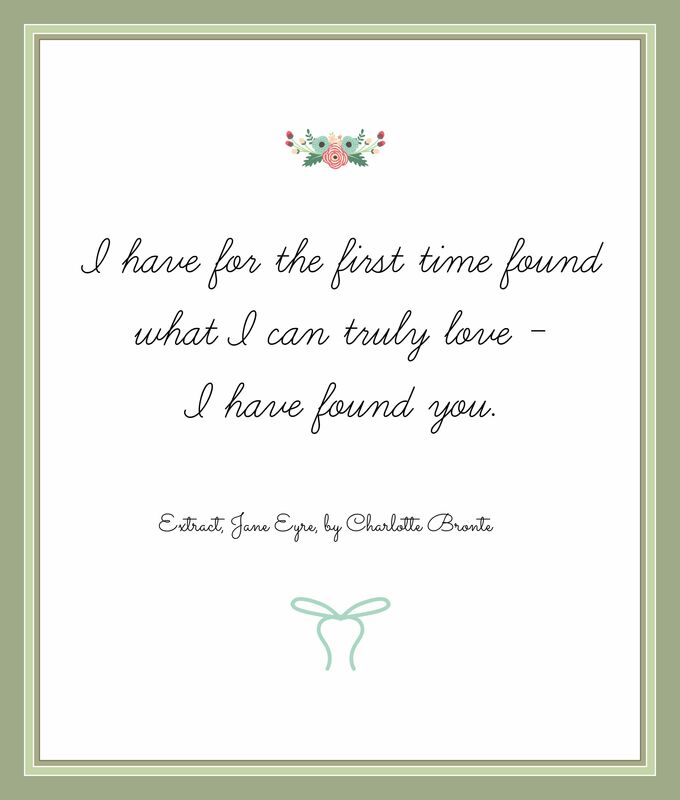 Download this free printable here. 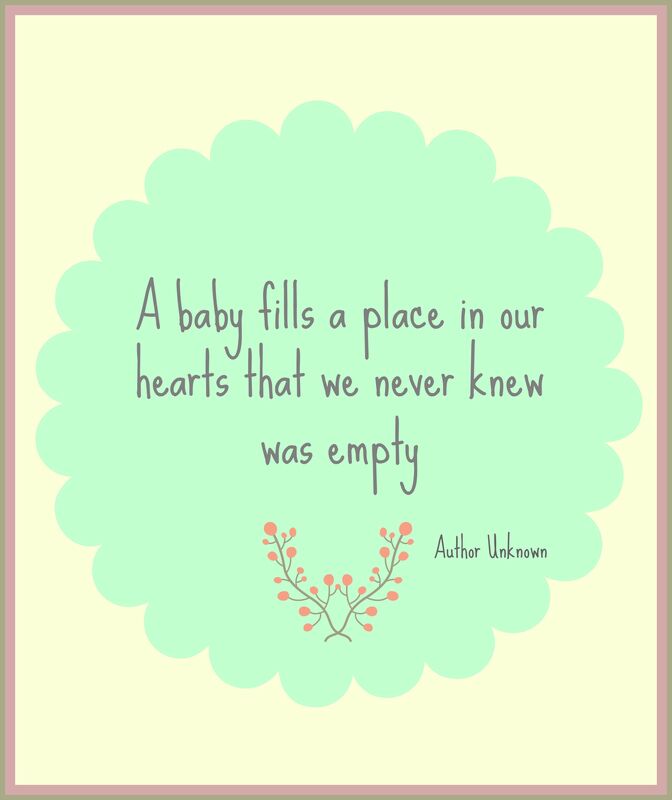 We never really know how we will feel when a new baby arrives in our lives, but they always find a way of nestling in our hearts first! I have for the first time found what I can truly love – I have found you. You are my sympathy – my better self – my good angel; I am bound to you with a strong attachment. I think you good, gifted, lovely: a fervent, a solemn passion is conceived in my heart; it leans to you, draws you to my center and spring of life, wraps my existence about you – and, kindling in pure, powerful flame, fuses you and me in one. Planning a naming ceremony is a very special time, and preparations often begin before the baby is born or in the case of adoption, brought home. Planning should be fun and stress free. Here are some ideas to help you plan your special ceremony. Keep a ceremony diary: If you come across a reading or poem that you would like at your child’s ceremony, jot it down or make a copy of the link. When friends or family have naming ceremonies or other religious rituals like a christenings, make a note of little touches that you felt were special or meaningful. Choose a venue: The wonderful thing about a naming ceremony is you can celebrant in any location! If you choose to have the naming ceremony soon after the baby is born, it can be in the comfort of your own home. This also allows you to limit the guest list, if you so choose. Most hotels have smaller event rooms that can provide the intimate space needed for a naming ceremony. Incorporating a ceremony with a sumer picnic is a great option if lots of children are attending. Equally, holding a christmas naming ceremony when family and friends may be home from abroad is another great option. Choose the life mentors/god parents: It’s a big honour to be chosen as the life mentor /god parent of a child, and never underestimate how special someone will feel when you ask them to take on this special role. It’s a good idea to make a note in your ceremony diary of why you have chosen them. This is not only helpful for the celebrant to include in your ceremony, but also for the life mentor/god parent themselves. It lets them know why you feel they are the right person to be there for your child. Usually there are two life mentors/godparent’s. If a child is being christened and having a naming ceremony, two people might stand for the child at both ceremonies, or there might be two godparents and two life mentors. Ceremony Elements: A ceremony element is a another way to seal the bonds between family and friend attending the naming of your child. There are so many different types to choose from. A unity ceremony can include just the parents and child or all the guests! Have a look at the ceremony menu page for some ideas. Or spend some time on developing your own unique unity ceremony. When you meet with your celebrant, bring your ceremony diary with you. It will be a great help to ensure your ceremony is filled with personal choices and elements that have special meaning to you. When you do start planning your child’s naming ceremony, please get in touch, as I would love to work with you to create your very special day. 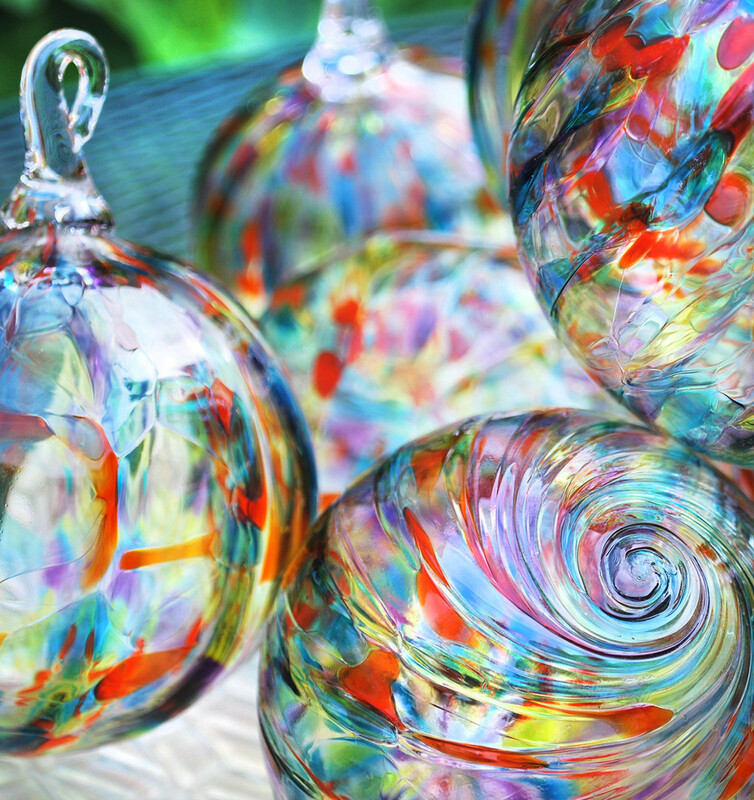 Unity in Glass – Unique Unity Ceremony: Part Two. When planning a naming, wedding or union, you might like to include a special element that includes a unity ceremony. There are lots of ideas on the ceremony menu page, and below are some of the more unusual unity ceremony ideas.